I'm not sure how to write this post. I want to be as honest as possible. This is my blog, after all, right? I shouldn't be concerned about offending anyone. Still, I am reluctant to post this. It's rather negative, but I think I need to write it, publish, and then move on from it. 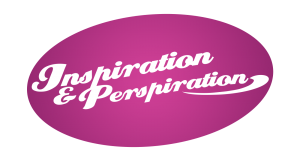 Last weekend was the much anticipated Inspiration & Perspiration Workshop. If you remember, I won tickets to this workshop by writing this post. For several weeks leading up to the workshop, there was a lot of interaction in a private Facebook group. I'd interacted with a lot of the women, so I felt like there was some connection. Despite my shyness, I didn't really feel nervous about going. It was going to be an awesome weekend! I did walk away with some new insights, but overall I was disappointed. I'm not sure what exactly I was expecting from the weekend, but by the end I was left feeling emotionally drained - not emotionally charged. The connection I was anticipating didn't actually materialize. I realize some of it was my own doing. I chose not to meet up with everyone Friday evening before the workshop. I think a lot of friendships were forged during that initial meet & greet. I'd planned on going out to dinner with some of the women after Saturday's workshop, but unfortunately, I didn't feel like anyone really wanted me to go with them. I didn't want to force myself to be social with people I barely knew who didn't seem to care if I was there or not, so I made the excuse that I was tired and the hot tub was calling my name. I realize that this may have been a misconception, but it was how I felt. It was a difficult decision to return the next day, but I forced myself to go. I donned my neon orange leggings, one-piece swimsuit, and cut off the toes of a pair of socks to make leg warmers. It was 80s workout gear day! The day started with just about everyone saying how wonderful the workshop had been so far, and how they all felt so connected to, and inspired by, all the other women there, and how they'd never attended anything like this before, and how their lives were forever changed. What was I missing? What happened Saturday night after the workshop to so securely bond these women together? Throughout most of the weekend, I felt left out and unwanted. I felt like I didn't have anything to contribute. I felt like I didn't fit in. I felt alone. Being a shy person, I know a lot of this was my own doing, but that doesn't make it any easier when no one sits next to you, when no one asks you to be in their pictures. I did have some good conversations with some of the women throughout the weekend, but most of the time, I felt like I was inserting myself into someone else's conversation rather than just feeling comfortable and included. Hearing how highly all the other women spoke of their time at the conference, only made me draw myself further inside of me. Hearing about the connection, the inspiration, the new friendships, only intensified my negative feelings and started to make me feel worse about myself, not better. At the end of Sunday, I just kind of quietly slipped out without really saying good-bye to anyone. Over the course of the next several days, I continued to think about the conference. I didn't beat myself up about how I felt or what I could have done differently, but the experience definitely shaped my week. I was depressed, sad, sore. I drove to work instead of biking. I skipped workouts that I normally wouldn't have. It definitely wasn't my best week. And then yesterday, it kind of hit me why my experience was so different. From the time I was 12, I had been surrounded by strong, inspiring women. I had attended many conferences and workshops throughout my teenage and adult years that celebrated womanhood and allowed women to connect on many levels. While I no longer practice any religion, these experiences helped shape me into who I am today. From them, I learned how to be a strong woman. I learned to treat myself well emotionally. Sure, I am hard on myself at times, and I definitely have experience with negative self-talk, but overall, I am pleased with my life and who I am. Even though my experience at this workshop wasn't what I'd hoped for, doesn't mean I regret going. I did walk away with a few positive experiences. 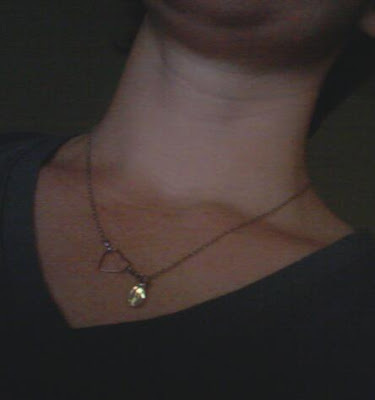 At the end of the workshop, we each received a lovely necklace to commemorate the event. The heart represents inspiration and the teardrop represents perspiration. Clever and stunning. I have yet to take off this necklace. I'm choosing to use it as a reminder of all the positive aspects of the weekend. I apologize for the raw honesty in this post. I wish I'd had a more positive experience. Still, I know that Danny J, Angie, and Bex all put a lot of hard work into this event, and I do want to express my gratitude to them for putting this together. I am genuinely happy that so many wonderful women received what they'd hoped for from attending, and I truly wish for great things to come to each of them. For more positive recaps of the weekend, I encourage you to read about the experiences of Heidi, Jenna, and Diana. There might be others, but this is all I could find right now. Be true to you and have a wonderful weekend! Sorry it wasn't a more positive experience:( I have a hard time with things like that too. No fun. Glad you at least got a necklace out of it:) We need to go to one of the fitness blogger conferences next year! I don't think you should feel like you have to apologize! This was your honest experience and you relayed it with an open mind, acknowledging that others had a different experience. Nothing wrong with that. Sorry you didn't get as much out of it, but maybe what you got out of it was a lesson in that somewhere. After all, it got you reflecting on your life and your past experiences and as you said, you are pleased with your life and who you are! That is gold right there! I agree with Just a Normal Mom. You shouldn't feel the need to apologize. Your post was perfect and it was you, uncensored. That's really what our blogs should be, but most of the time we do hold back some of the more negative stuff. I found your honesty very refreshing. I've been where you are many times in my life and most of the time, it is a negative energy that I was giving off that caused my pain. It is, most of the time, self inflicted. I agree with you that the Friday night meet-and-greet was where the relationships were born...maybe even over a cocktail or two. It's difficult to squeeze in after bonding is in full progress. I hope that the next time you make your way to a conference you make it better for yourself by being present from the moment you arrive. Doing so will make it better for all who missed the opportunity to get to know you at the last conference. Please stop by Word (((HUGS))) if you get a chance to say hello! Have a great week!